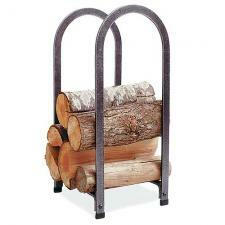 *A popular model that neatly stacks firewood vertically for maximum storage in minimum space. The matched arches and simple styling blend with contemporary design. *Measures 14" Long x 13" Wide x 30" High. *Quality product made by Enclume in the USA - 23 lbs.